Pinpoint Painting LLC is locally owned and operated, serving the greater Cleveland & Akron areas! 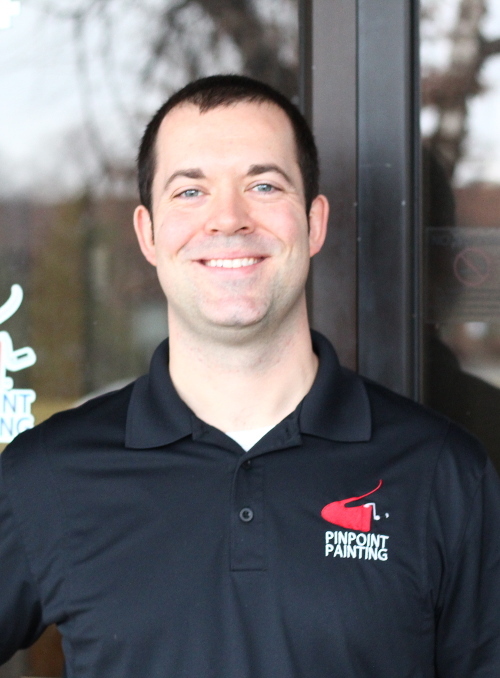 Pinpoint Painting LLC was founded by co-owners Zach Forsythe and Doug Rhamy. Their vision was to create a painting company that provided superior workmanship along with exceptional customer service. With a company culture of integrity and a “do-what-you-say-you’re-going-to-do” attitude, Pinpoint Painting is different from many other contractors, where communcation, responsiveness and customer service can be lacking. The owners have a combined 35+ years of experience in the painting industry which has afforded them a wealth of knowledge to help specify the right products and surface preparation for every project. The result? A job done the right way! Zach began his career in the painting industry working for the Sherwin Williams Company while attending college. Over his fifteen-year career with Sherwin Williams he held many different positions including Store Manager, Sales Representative, District Sales Manager, and City Manager. The experiences in these positions has given Zach in-depth knowledge of the painting industry. Working in many different districts along with thousands of customers has taught Zach the importance of doing what you say you’re going to do, and making sure that every customer gets the product and service they expect every time. He currently resides on the West Side of Cleveland with his wife and three kids and serves as the main estimator for the Cleveland area. Doug worked four years running a paint crew before graduating from Baldwin-Wallace College and beginning a career with the Sherwin-Williams Company. Throughout his eight year career at Sherwin-Williams, Doug held positions as Store Manager and Sales Representative prior to starting Pinpoint Painting. During this time, Doug dealt with hundreds of painting contractors as well as homeowners; working with them on their painting projects. Not only did Doug gain extensive knowledge of paint and surface preparation; he also learned the importance of customer service and recognized a need for a painting company that provided a high level of customer service along with quality work done the right way. He currently resides on the East Side of Cleveland with his wife and family and manages job production and estimating for the company. Brad worked for the Sherwin-Williams Company for 18 years which has contributred to his wealth of knowledge on paint, stains and coatings. 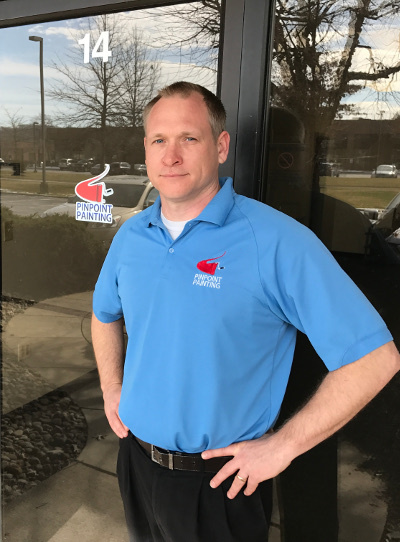 Brad has worked in many markets ranging from Columbus to Lakewood and has a great understanding of choosing the right products for the job. Brad handles the estimating for the Akron and surrounding areas. Michelle began her career as a color consultant for Sherwin Williams while working on finishing her degree in Interior Design from Virginia Marti College of Art and Design. Michelle has worked with homeowners, contractors, builders and architects on design specifications focusing on texture and color. As the design world is always evolving, Michelle’s experience in kitchen and bath design as well as luxury sales gives her the leading edge in upcoming trends and what’s happening with design in Cleveland. 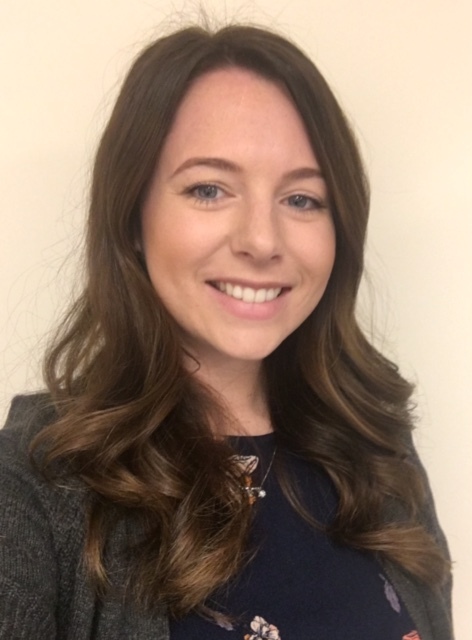 Michelle currently resides on the West side of Cleveland with her two dogs and serves as one of the company’s sales representatives. Michelle also performs all of the color consultations for the company.